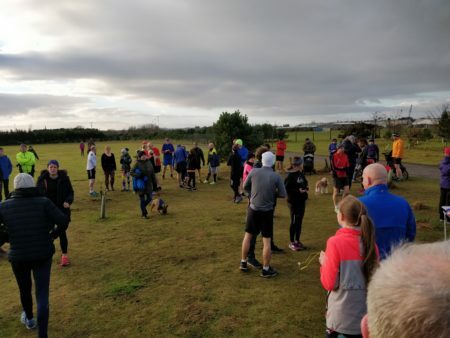 New Year parkrun day is a special event in the world of parkrun tourism. It’s the only time of the year that you can officially do two parkruns in one day, and taken with the bonus Christmas and usual Saturday runs it means you can do 5 in just over a fortnight. 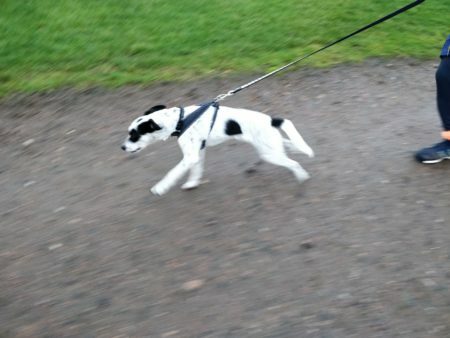 That’s why the GinRunners loaded Mabel and headed north to Stonehaven and Montrose for their New Year parkrun double bill. We arrived in the pretty town of Stonehaven, drawn by the allure of the world famous fireball festival and parked pretty much slap bang in the middle of town. Not that long ago we’d have been worried about getting moved on but we’re much braver now! This was a prime location, with a pub, the beach and a chippy within (almost) arms reach. New Yer’s eve was spent in all three of those locations. A quick gin or two in the van warmed the cockles before we headed out for a wander. One of Stonehaven’s main attractions was a chippy called The Bay, we were told. Alas it was shut but luckily the one we parked next to in the town centre was both open and excellent. 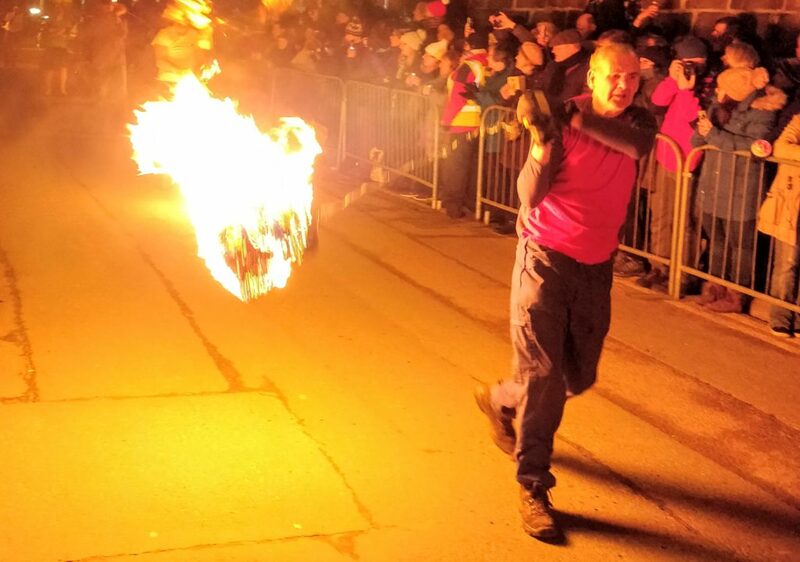 Next up was the famous fireball festival, an internationally acclaimed event. We got down to the high street for 10pm and it was already mobbed. We then stood in the cold for 2 hours, the monotony broken by watching the band pass three times, and some local kids swinging LED fireballs. The main event came after “the bells” (midnight to you lot). 40-odd locals walked up and down the street swinging baskets of flaming material around their heads. It looked like hard work to be fair, and we really hoped they kept a good grip !!! 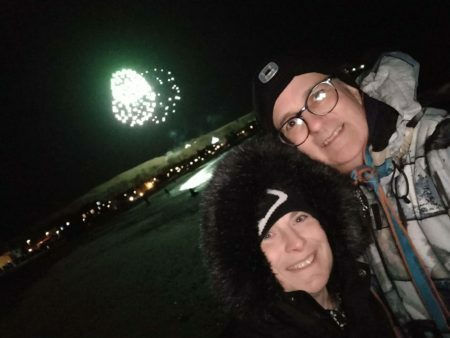 After the flaming handbags were done we headed down to the beach to watch the impressive fireworks and look forward to the upcoming year of ginrunning. Out of all of us it was the dog who enjoyed the fireworks most. No one told him pets were supposed to be scared of them !!! The next day dawned grey, cold and hungover. We were worried that we’d be the only nutters out at 9 on New Year’s Day but when we arrived at the park there was already a goodly throng assembled. If only we were all as keen to go as the wee dug that obviously knew exactly what it was doing and couldn’t wait to get started. The Stonehaven course consists three laps with a fairly noticeable long climb followed by a short, sharp descent. The rest of the course runs round some football pitches on the grass for a proper multi-surface experience. Oh, but watch out for the holes. They hurt your ankles !! As the course is three laps you get the joy of the hill three times. This was clearly going to be an excessive in just getting round. The marshals were the usual magnificent bunch, especially the lady at the top of the hill who was doing her 100th volunteer shift. By the third time up the hill we were glad of the wee nip she offered from her hip flask. We finished the course in a time that can only be described as “eventually”. And yes, we were well behind the wee dug. Speaking to a few of our fellow runners it seemed that we weren’t the only ones doing the New Year double and something of a parkrun convoy left Stonehaven and headed south for Montrose. Watch out for Bugs Bunny’s House. Having fallen down the rabbit hole at Stonehaven, the race briefing at Montrose warned of more to come. Rabbits, that is. It’s Montrose’s “thing” apparently, rabbit holes. By the time we got set f0r the start we were both feeling a lot better than we had at Stonehaven. Nothing like a run to cure a hangover. My ankle was a bit hurt after the aforementioned incident, but there was no way either of us were not going to finish this one. I did take off to go for a good time, but that only lasted about 200m before a shooting pain brought that idea to a close. While Bex headed off into the distance I decided that I would just hobble the rest of the way round. Be nice to keep the tail walker company. As it was after about a minute the pain subsided so I decided to give running another go. 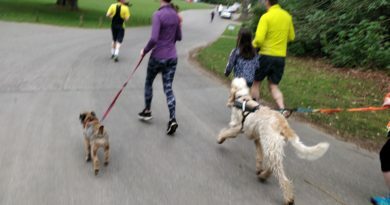 Everything held up well so I set off through the field to try and catch my GinRunning colleague who was making great progress round the flat one lap course. After we’d reunited we settled down to enjoy the rest of the run. There were a lot of locals about and many, many “Happy New Year” greetings were exchanged. 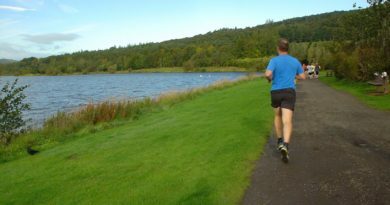 Montrose was rapidly becoming one of our favourite parkrun courses. It’s great when there’s a variety of surfaces and scenery to enjoy and the one-lap setup means you never know what awaits you. Around the 3/4 distance we went through a gate where we were warned (again) about the rabbit holes. I resolved to shut up and watch where I was putting my feet, Bex would have to do without my “inspirational” chat for a while. What do you mean lucky her ??!!?? The last part of the course rejoins the perimeter track of the old airfield and the sense of aviation history under our feet was emphasised by the aerial activities of the local radio controlled model aircraft club. I REALLY want one of those Red Arrows Hawks that one chap was flying. We made it to the finish without any more run-ins with Bugs Bunny and headed back to the Van for the drive back to Edinburgh. 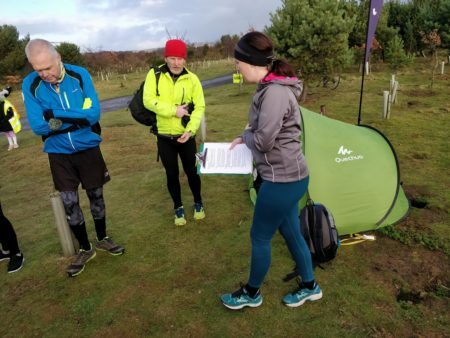 We’d really enjoyed our trip to the North East of Scotland for the New Year parkrun fun, and it was great to meet a whole new gang of awesome parkrunners. It’s just a shame that we had to dart off and couldn’t do any more exploring as there was a lot to see in this neck of the woods. 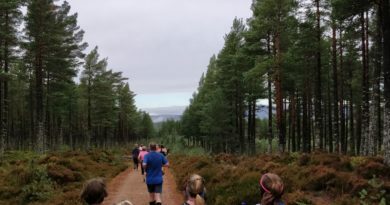 Once we’ve done all of Scotland’s other parkruns.